ōilyarns club is almost here! My long awaited yarn club is ready to go, with subscriptions opening on 1st October and the first packages going out early November. 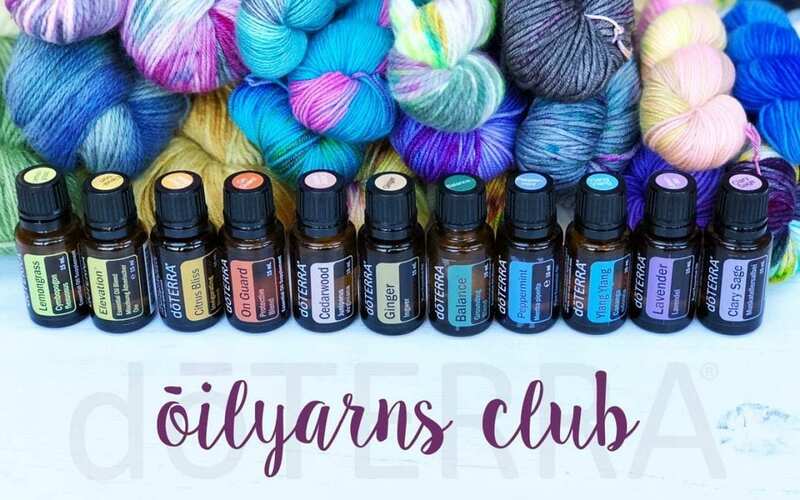 I’ve been trying to combine my two passions: yarns and dōTERRA essential oils, and find a way of sharing them with a wider audience, and I have been ironing out the logistics for a while so thank you for bearing with me. The club is called “Ōilyarns Club” (nothing clever there, but I’ve always believed in being clear – as Ronseal said – “It does what it says on the tin”. With each delivery you will receive at least one skein of yarn and at least one dōTERRA essential oil sample. Both will focus on a theme – this might be an emotion, a season, a holiday or even a particular flower that blooms at that time of year. The colours of the yarn and the oils will complement each other perfectly. The yarns will vary each month and will all be hand-dyed by me, so there might be Surino, Cashino (coming soon), Velluto, Altopiano, or Di Lusso (I’ve just realised that most of my yarns end it ō !) There may also be some Queen Silk Lace in there too. They will be exclusive to the Ōilyarns Club and will not be available to buy in the shop. 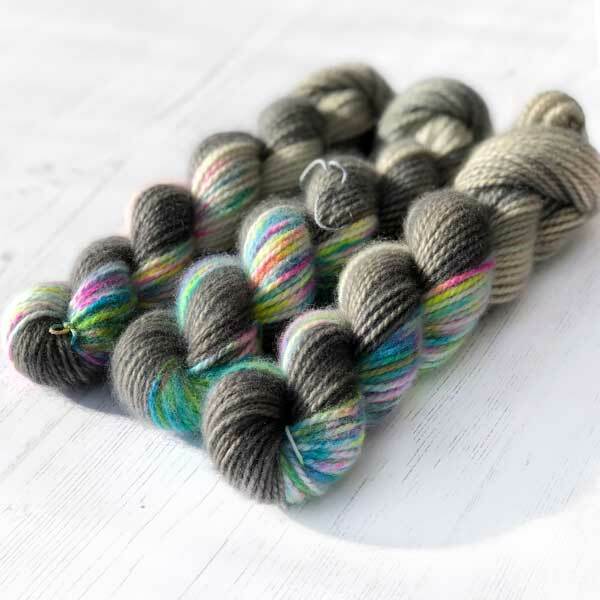 The subscription will start at £20 per package (+postage), but you will be getting far more than that – the yarn alone will be worth between £15 and £25 and the ōils are worth considerably more than the balance. I can’t wait to share these amazing essential ōils with you so that hopefully you will discover that they offer an amazing benefits for emotional and physical wellbeing as well as a natural alternative to so many things. You can sign up from 1st October, and the first packages will go out around 15th November, and going forward will be sent out during the second week of the month. Orders placed after 1st of each month will be subscribed for the following month, which will give me enough time to prepare the oils and dye the right amount of yarn. Your money will be deducted on the same date each subsequent month and you can cancel at any time, but please give me as much notice as possible. Lastly, you may also want to join the ōilyarns club facebook group. Here I will share extra bits about the ōils, and behind the scenes stuff about my yarns and how I dye them. I wont put any spoilers on here so your package will always be a mystery, but once I’m sure everyone’s received theirs I may share additional tips and info. So, don’t forget to come back here after the 1st October!